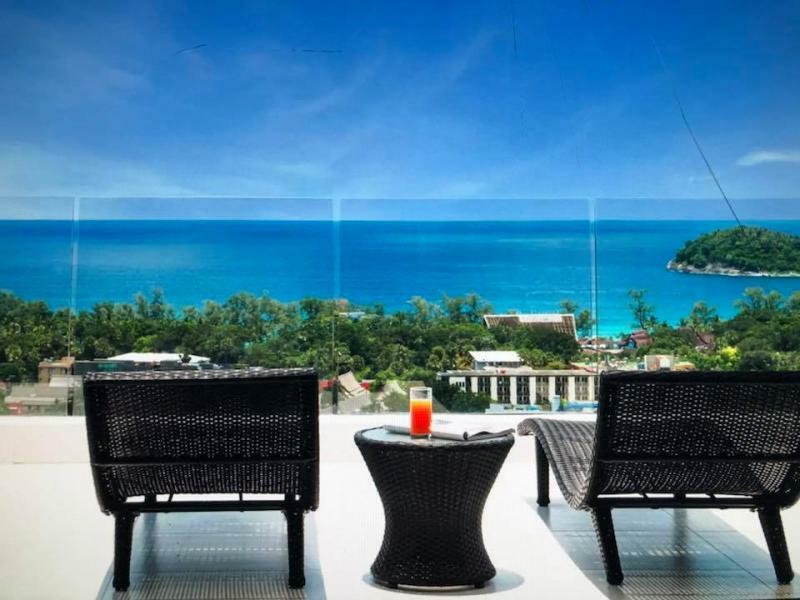 New full Sea View apartment for sale in Karon, in one of the Most Beautiful Residence of Phuket. Beautiful new 2 bedroom Condo for Sale in Karon with Panoramic Sea View. Living area : 140 m2 - 2 bedrooms - 2 bathrooms - Foreign freehold ownership. Located in a high range residence of Kata, providing Full Sea View, fully furnished, Jacuzzi hot tub on Terrace Bronzarium, near Kata Beach. The apartment is fully furnished with taste and prime quality equipments, the large terrace with Jacuzzi dominates the Bay of Kata, the Sunsets are Amazing ..